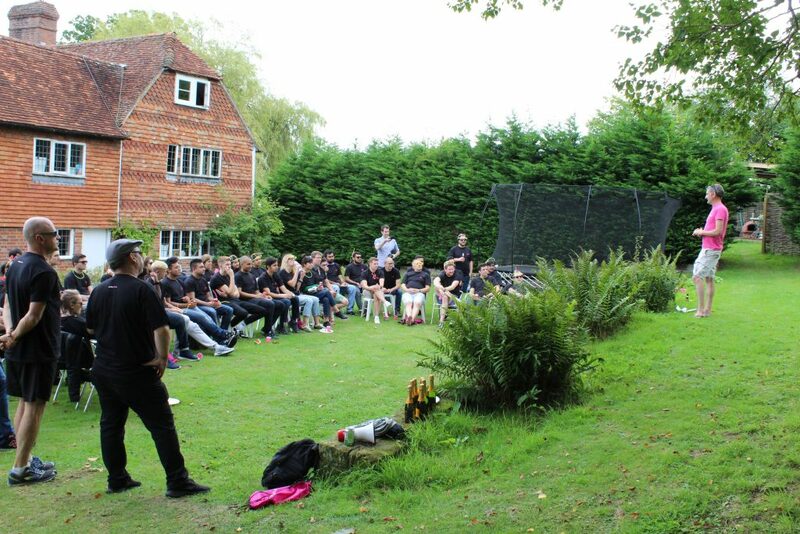 There are company Away Days … and there is the makepositive Away Day! The following is a personal review of what it was like to be fortunate enough to take part in this year’s event. Company Away Days are nothing new. They are often seen as critical to enabling key messages to be communicated across the organisation without the distractions of the daily chores. In some cases, they are little more than an excuse for a knees up. The makepositive Summer 2017 Away Day was designed to be different. And that’s because we are different. Our clients tell us we are different. Our colleagues at Salesforce tell us we are different. We know we are different. And the Away Day was designed to capture what makes us different and deliver an experience that fits with our brand and reinforces those elements that make us special. And so, the Alice in Wonderland theme was chosen as the backdrop to this year’s event. Led from the front by James Collett, SVP Marketing and Alliances and supported by Stacey Tanner, myself and Aaron Clifford in the marketing team and Catey Fry in HR, the intention was to provide a stimulating and entertaining environment but … and this is the essential ingredient, a learning experience that would last for months or even years to come. Headcount at makepositive has grown at 42% since January 2017 and 55% over the last 12 months, and that brings with it some ‘growing pains’. The Board are very much aware of this and wanted to reward success and acknowledge hard work and engage the team with the transformational thinking that is destined to affect the future of the company in one way or another. And so, four strategic zones were created to enable the Senior Leadership Team to present a 15-minute ‘onboarding’ experience. The session started with a KO speech from Mark Richards, CEO and Founder makepositive. Mark started with a very warm welcome, delivered in the style to which Mark is known … fun, lively but with purpose. He was quick to praise the whole workforce for its hard work over the past year as the company has continued to grow at an extraordinary rate. He recognised the pain points and reassured us that all the stops were being pulled out to ensure that we are fully resourced for the next phase of growth. He went on to discuss the six pillars that make up our mission, ie. transparency, trust, flexibility, happiness, professionalism and generosity. He illustrated ways in which our colleagues have demonstrated these qualities and praised the makepositive spirit. New appointments and promotions were celebrated and a short CSR update was presented by Emma Watts and then we were put into groups and commenced the onboarding activities (see below). To close the training activities, Mark conducted a test based on the information gathered from each of the sessions. Lastly, before the evening’s entertainment programme got underway, Mark announced the introduction of an H1 bonus in recognition of everyone’s hard work. James started by explaining his role at mp which is fundamentally based around building stronger and more profitable relationships with his counterparts at Salesforce. James has spent several years working with Salesforce in Dublin, Leeds and London and has an incredible network of senior contacts within the eco-system. James uses his network to get market intel for the company, secure high-value opportunities with the support of our sales team and give us the best possible chance of winning new business within our designated channels. Additionally, James holds responsibility for all our marketing activities. This includes working with Stacey Tanner (Events Manager), to create and resource a whole range of events and Alliance meetings including Obsessions After Party, Vertical Engagement Meetings (VEMS), Partner Cricket Day, Country Pursuits and of course, our Away Days. The events require a lot of design, branding and communications, which comes from Aaron (Digital Marketing Manager) and myself (Brand Director). We work on the event scoping process through to the look and feel of the events and all the communications supporting the events. James was keen to press home the importance of efficient gathering of project details to enable prompt sharing of customer success stories. 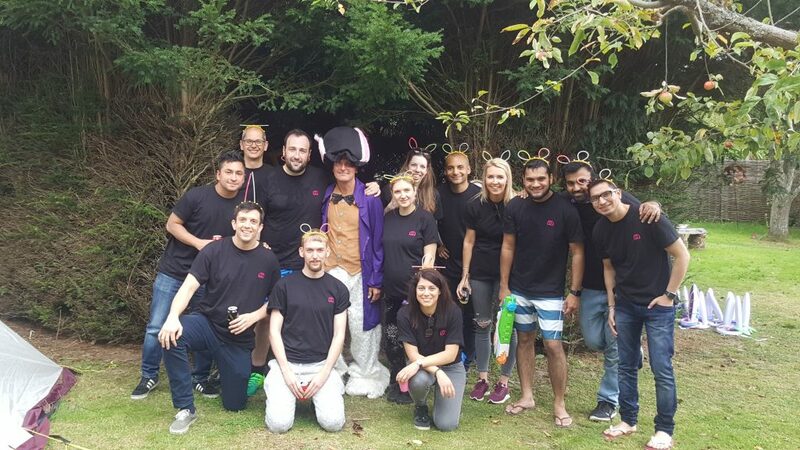 Case studies, CSAT scores and customer testimonials are key to us influencing Salesforce AE’s and winning new business, so the more we shout about our successes, the more referrals we stand to gain. Mark raised the point about the preferred type of projects we pitch for, ie. EBU or CBU. Responses were varied but seemed to support the view that ‘variety is best’ as it provides breeding grounds for the less experienced on the smaller projects, but high marketing value from the bigger, more prestigious projects. Mandev, Ron and Steve gave us some deep insight into the sales strategies they employ and gave a particularly interesting explanation as to why the focus is more on acquisition than harvesting tactics. Essentially, the CRM sector is growing globally at a rate of circa 17%. makepositive revenue is growing at circa 79% yoy. The focus therefore is on capturing new accounts. These are mostly referred to us via the work done by James Collett but we are also the number one Salesforce Partner in the UK for sourcing our own projects. Additionally, once we have completed a successful project for our clients, records show that they tend to come back to us for more work, but only when they are ready. We do not need to ‘sell’ to them anymore, as they already know our capability but need time to make their own internal changes before they require additional services or products from us. Managed Services, run by Eleanor Darling, performs an important function here, providing the support required by the client to extract best value out of the Salesforce app (adoption rates can be a major barrier to growth when the client does not extract full value from the resources we implement). A suggestion by Shahzad Khan to create a reference list of all the Salesforce projects everybody has worked. Matt focused on four key points. The first was a mention of the £1,500.00 referral fees payable for recommending new colleagues to the company. Next, discussions were held about the company share option. He was keen to explain how it works and the benefits it delivers to both us, as the employees as well as the company as we continue on our path of rapid growth (expecting to reach a headcount of 250 by 2020). He encouraged us to do our research and revisit the company handbook where more details about all our terms and conditions of employment can be found. The third point, which, admittedly, was far more interesting from the brand point of view, was a discussion about the pending relocation of our office. Our current lease is due for renewal this November and all options are open. Matt presented us with a small selection of choices which range from a semi-derelict site around the corner from our current location to a swanky suite on the ninth floor of an iconic site. By the time I have finished writing this, my suspicion is that the opportunity will have already been snapped up, but we are invited to view these sites and make a collective vote in the new few days. Another testimony to the flat management structure created and cherished by Mark Richards at makepositive. Matt finished by reminding us all to complete the Anti-bribery Trailhead and familiarise ourselves with the issues around access to data and GDPR ruling coming into force in May 2018. Ricky delivered a somewhat more ‘serious’ presentation on a deck of large playing cards, each of which featured the names and job roles of key members of his team. He is currently managing a significant restructure of the team which, given Ricky’s vast experience in transformational change management at O2 Telefonica, Tquila, Accenture and others, will no doubt massively improve our capability to grow more rapidly. He described the roles of Presales and Managed Services and the various functions of the Practice Managers. Ricky’s key message was around the need to maintain consistency within our growth plans. He is busy reshuffling his deck and stll has changes to introduce but announced various promotions including Kim Helbom heading up the XD, technical and implementation consultants team and Emma Watts taking on the opportunity to lead the implementation consultants team. 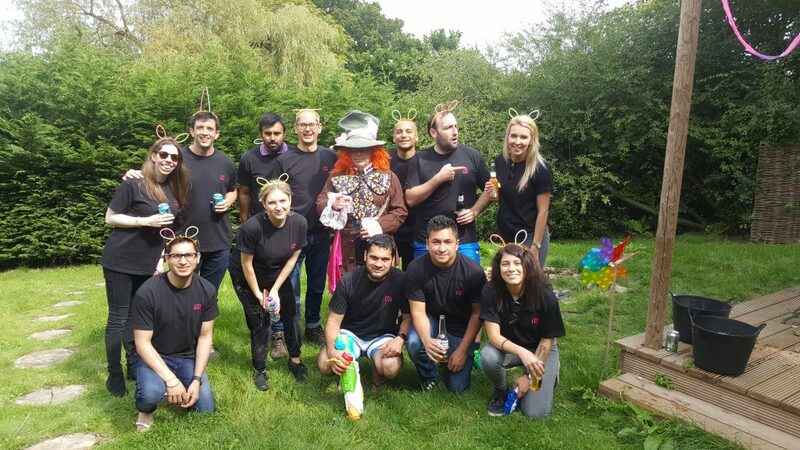 Ricky also discussed the multifunctional roles of Zoe Sadler in our Manchester office and Manu Dewan in Gurgaon, Hannah Stevens’ role in PMO back at HQ and Vincent Spehner’s promotion to Lead Technical Architect. Ricky gave us some insight into his views on allowing some less experienced colleagues to ‘cut their teeth’ on projects, without risking any over-exposure and crucially, from the brand point of view, at a rate that reflects their experience and does not leave the client feeling short changed. At a time of high growth, resources will occasionally be stretched, and like a football manager in the Champions League (other comparisons are available! ), Ricky has a holistic view of our resourcing needs and has an ability to see where we can develop talent under the appropriate supervision for mutual benefit. When asked how does he sleep at night, Ricky replied: “The passion of the people here is what drives me. I’m here to help people achieve their ambitions”. Great answer! We gained a valuable insight into the history of makepositive, the people behind the brand and the strategies we use to build the company into what it is today. No question was ever too insignificant or challenging and no reply was without passion and belief. The day ended with the customary makepositive sporting challenges on the tennis court, swimming pool and other activities followed by supper from the Vietnamese mobile wrap company and a dance off led by Mark in the main marque. Discussions continued long into the night around the various fire pits across the estate. Breakfast was messy! No comments on "makepositive (UK) Away Day Summer 2017: report by Nadio Granata"